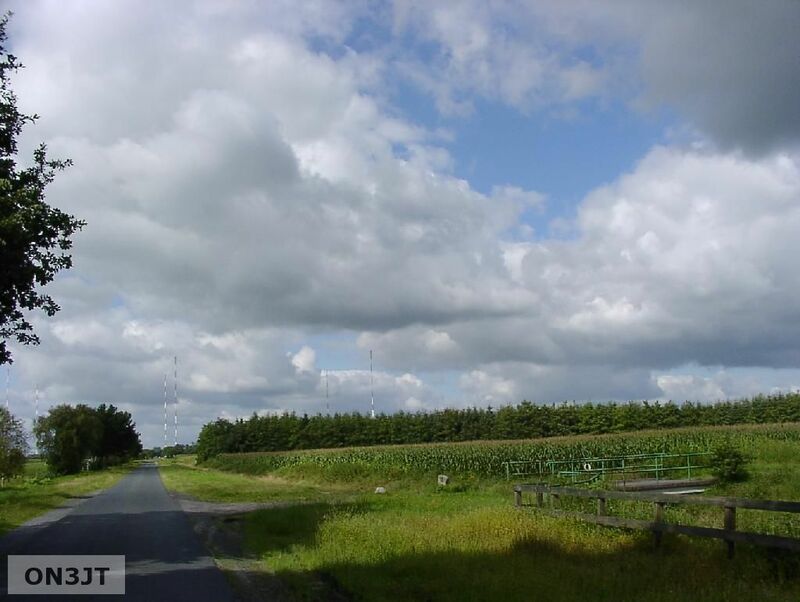 The second transmission today of the Grimeton base VLF transmitter SAQ was done with my normal HF transceiver. 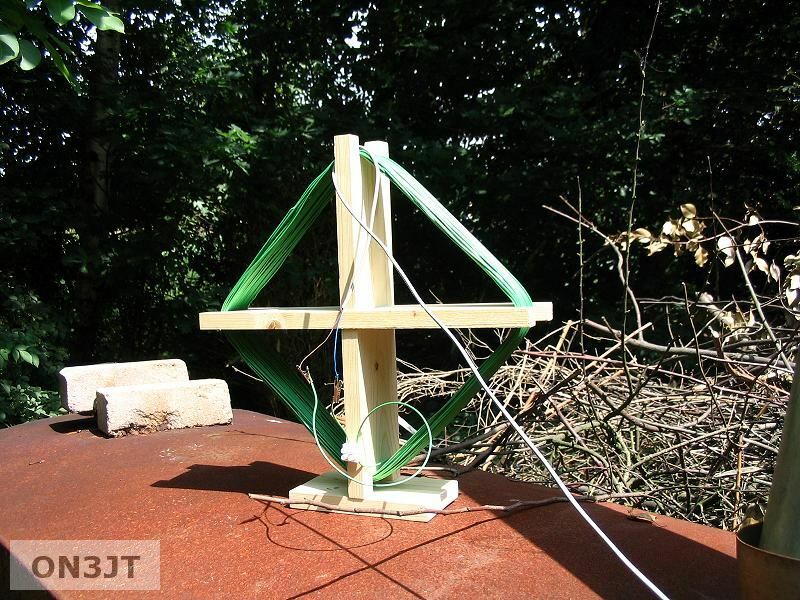 With the help of the Datong VLF converter and the home made ZS6BKW antenna the missiob was easy accomplished. Okay the converter was a bit overloaded with the ZS6BKW antenna, but I managed to receive them good. 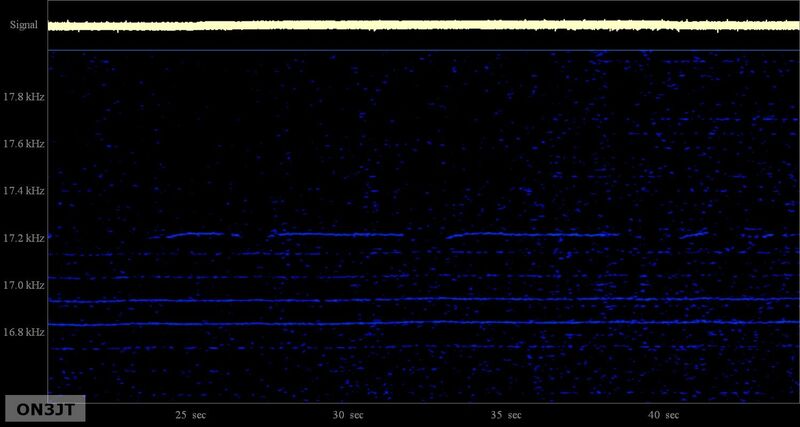 Just received the full tranmission of the Swedish VLF transmitter SAQ on 17,2 kHz. The setup this time was my home computer with a soundcard. The antenna was a ZS6BKW connected to the soundcard. A software receiver was used : Speclab from DL4YHF and the audio was transferred with a Virtual Audio cable to FLdigi. I think that FLdigi decoded about 20% correct, but never mind, it was the challenge that counts. On wednesday the 24th of december 2008 the vlf transmitter SAQ will be aired again. Not really in the evening, although it depends where in the world you live. Transmission is planned at 08.00 UTC and 08.30 UTC. The frequency is 17.2 kHz CW. Running up an tuning of the transmitter begins about 07.30 UTC. The Alexanderson Day 2009 with transmission is planned to Sunday 28th June. My most ill prepared attempt ever. I took my laptop and my BBB4 receiver and some wire as antenna. 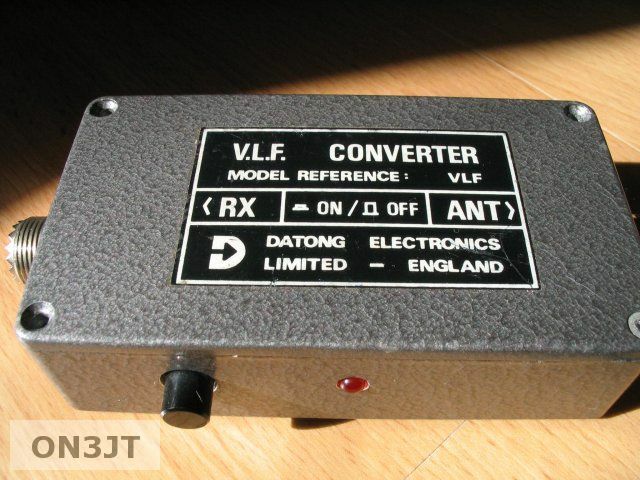 Earlier this year I obtained a vlf converter from Datong trough eBay. The total cost including shipping was about 12 euro. A real bargain. I saw the same converter a few weeks later again on eBay, this time it was won by a Frenchman for more than 60 euro. The Datong converter converts the vlf band to 28 MHz, so 28.000 MHz is actually 0.000 MHz. 28.136 MHz is the 136 kHz amateur band. And so on. You can also convert the medium wave bands too but at reduces sensitivity according to the manual. The VLF transmitter DHO38 is a transmitter for VLF of the German Navy near Saterland, West-Rhauderfehn, North-Germany. It is used to transmit coded orders to diving submarines of the German Navy and of Navies of other NATO-countries. DHO38 transmits since 1982 on 23.4 kHz with a power up to 800 kilowatts. DHO38 uses an umbrella aerial, which is carried from 8 steel tube masts with a height of 352.8 metres. Each pylon stands on a huge ceramic ball, which serves as an insulator for a voltage of 300 kilovolts. The text written above is the one you’ll find if you did a search on Google for DHO38. I also wonder if everyone copies from another :-).